First Aid Training Cooperative’s digital first aid manuals provide clear and concise first aid guidance. Written by highly experienced first aid trainer Cory Jones, our series of manuals provide a clear, straightforward guide to key first aid concepts, tailored to a range of specialist applications. The manuals cover four different areas: First Aid at Work, Outdoor First Aid, Paediatric First Aid and First Aid for Fitness and Sports. In each, topics such as adult, child and infant CPR, adult, child and infant choking, assessing a casualty and the recovery position are covered, as well as issues specific to each topic. They can be downloaded to your mobile device (approx 8MB file size, equivalent to 1-2 photos), so they are always close to hand when you need them. They also include links to videos demonstrating first aid techniques, and links to blogs with further information on specific illnesses and injuries. Our range of digital manuals are available to buy online via Kobo, for only £3.89 each. 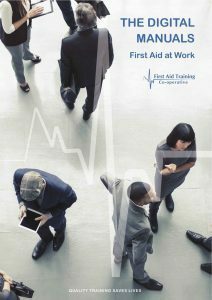 First Aid At Work is a unique first aid manual for the home or workplace. The manual contains information on dealing with common first aid situations. Each page links to a Youtube video detailing instructions for basic first aid scenarios. Videos include – adult, child and infant CPR, access a casualty and putting them in the recovery position. This manual also covers dealing with illnesses (asthma, epilepsy, diabetes, anaphylaxis, heart attack, stroke), managing spinal injuries and broken bones. Where relevant the manual also contains links to blogs about injuries and illnesses. 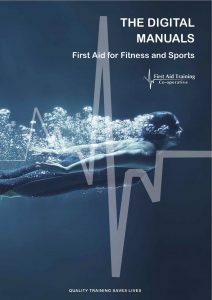 First Aid for Fitness and Sports is a unique sports first aid manual for sports coaches and exercise professionals. This manual contains information on dealing with sporting first aid situations and each page links to a Youtube video detailing instructions for basic first aid scenarios. Content includes dealing with issues around sprains and strains, head injury and concussion, plus helps with ‘Return to Play’ decision making. Issues dealt with also include dealing with illnesses (asthma, epilepsy, diabetes, anaphylaxis, heart attack, stroke), managing spinal injuries and environmental concerns such as hypo and hyperthermia. Where relevant the manual also contains links to blogs for further reading about injuries and illnesses. Paediatric First Aid is a unique first aid manual demonstrating techniques for children and infants. 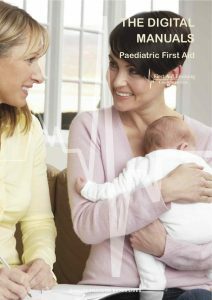 The manual contains information on dealing with childcare, parenting and nursery first aid situations, and each page links to a Youtube video detailing instructions for basic first aid scenarios. Videos include – adult, child and infant CPR, adult, child and infant choking, accessing a casualty and putting them in the recovery position. Issues dealt with also include dealing with child and adult illnesses (asthma, epilepsy, diabetes, anaphylaxis, heart attack, stroke), and managing spinal injuries. Where relevant the manual also contains links to blogs for further reading about injuries and illnesses. 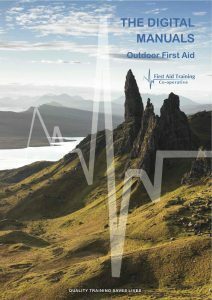 Outdoor First Aid is a unique first aid manual for wilderness, remote or outdoor practitioners. This manual contains information on dealing with wilderness first aid situations, and each page links to a Youtube video detailing instructions for basic first aid scenarios. Videos include – adult, child and infant CPR, accessing a casualty and putting them in the recovery position, all demonstrated in an outdoor, remote context. Issues dealt with also include dealing with illnesses (asthma, epilepsy, diabetes, anaphylaxis, heart attack, stroke), managing spinal injuries and environmental concerns such as hypo and hyperthermia. Where relevant the manual also contains links to blogs about injuries and illnesses.